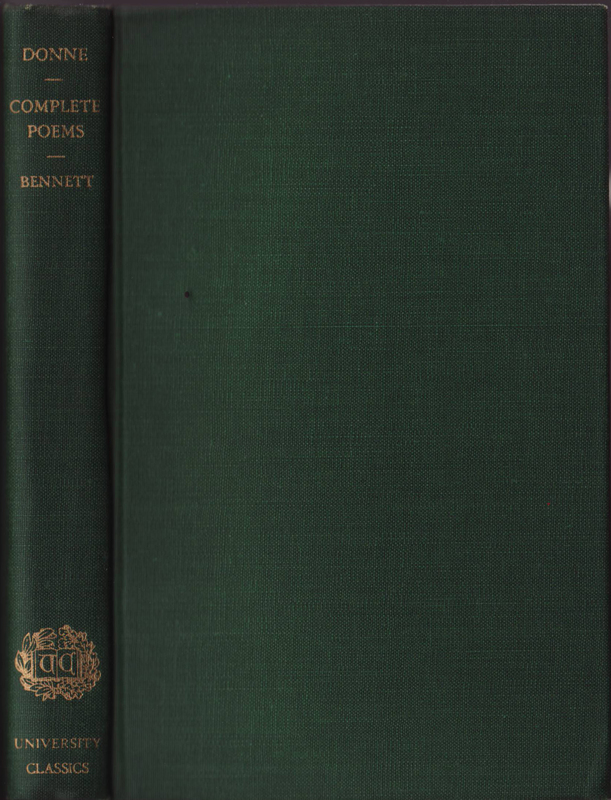 The series name University Classics has been used at least three times over the 19th century. 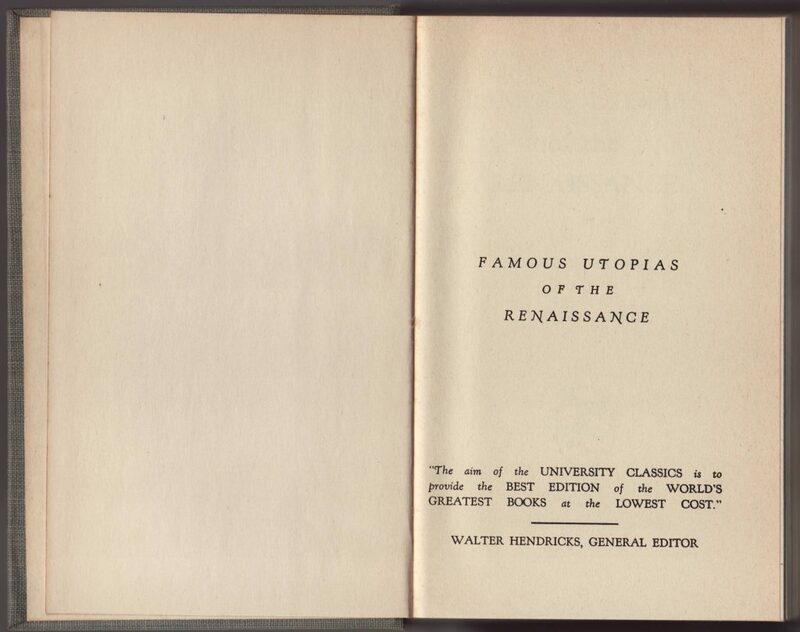 The University Publishing Company of Lincoln, Nebraska published a series of classics aimed at the high school & college market as the University Classics from 1923-1935 reaching no more than 15 titles. In 1939 Appleby & Company of Greenwich, CT published about 15-20 titles in both paper and hardbound versions. Some were issued as a set in a box. This iteration of the University Classics does not seem to have been reprinted after the initial titles in 1939. 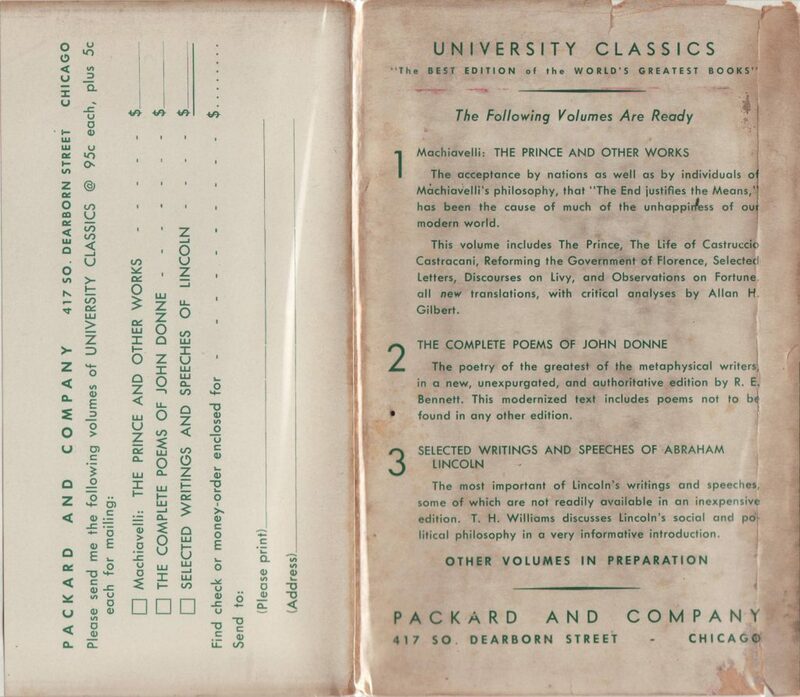 The University Classics series name was reused a third time for a series published by Packard and Company of Chicago, IL, between 1941 and 1947. The series was eventually under the general editorship of Walter Hendricks, who taught English at the Armour Institute of Technology (now the Illinois Institute of Technology) and later founded Marlboro College in Vermont. Hendricks had started Hendricks House Publishers in the 1930s in Chicago (where he employed his students). Titles from the University Classics appear under both Packard and Company or Hendricks House imprint from 1942 on. Paper shortages during WW2 led to a rationing of paper to publishers. It’s possible that Hendricks began publishing University Classics under his Hendricks House imprint using paper his firm was allocated, to increase the number of copies available during this era. 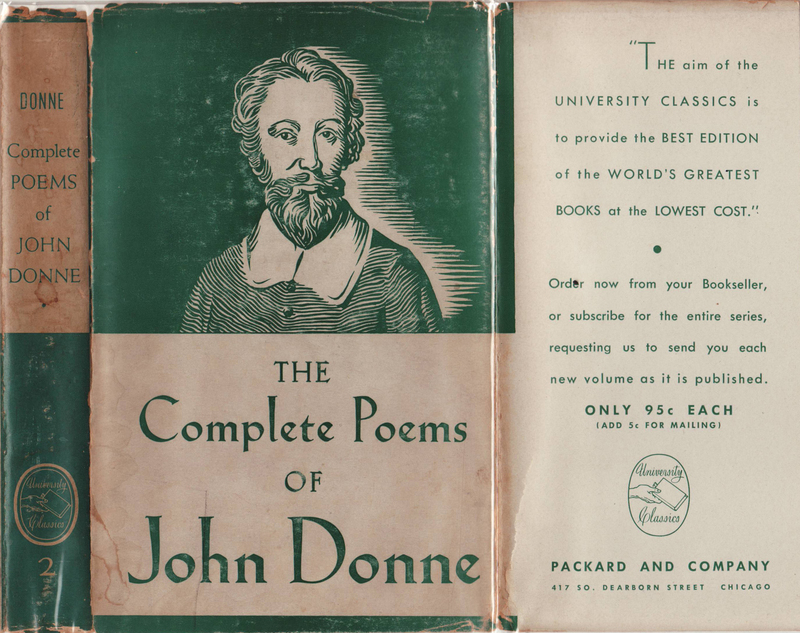 The jacket on this 1942 title is illustrated and seems to be mimicking the Modern Library (including the .95 cent price and promotion – “The World’s Greatest Books” as compared to the Modern Library’s “The Best of the World’s Best Books”). The front jacket flap indicates the books are available by subscription. The back of the jacket includes details of the first three volumes in the series an order blank on the jacket flap. Bindings are cloth with simple gold stamping. In 1948 Hendricks House was acquired by Farrar Straus (New York, US) and the Farrar Straus / Hendricks House began publishing the University Classics as part of their education/college publishing efforts. Walter Hendricks remained involved with the series at least through the 1950s. Titles in the series, reaching a few dozen titles at most, were published through 1964. 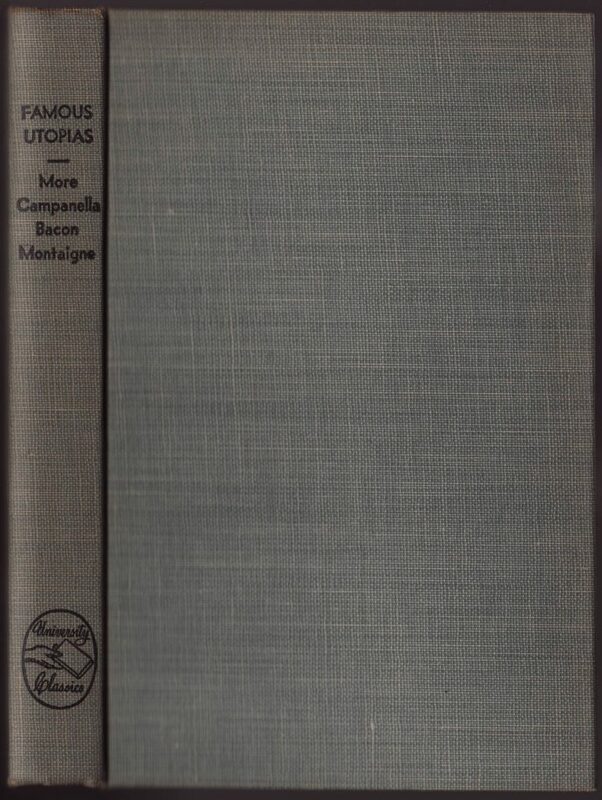 A jacket from the book Famous Utopias, a 1948 third printing (first 1946) of what was originally a Packard & Co. title. The price is up to $1.25. A summary of the book is on the front jacket flap. Titles are on the jacket back, and an advertisement for the series on the rear flap. The logo remains the same from the earlier series published by Packard. Click for detail. Bindings are sturdy cloth with the book title and series name. 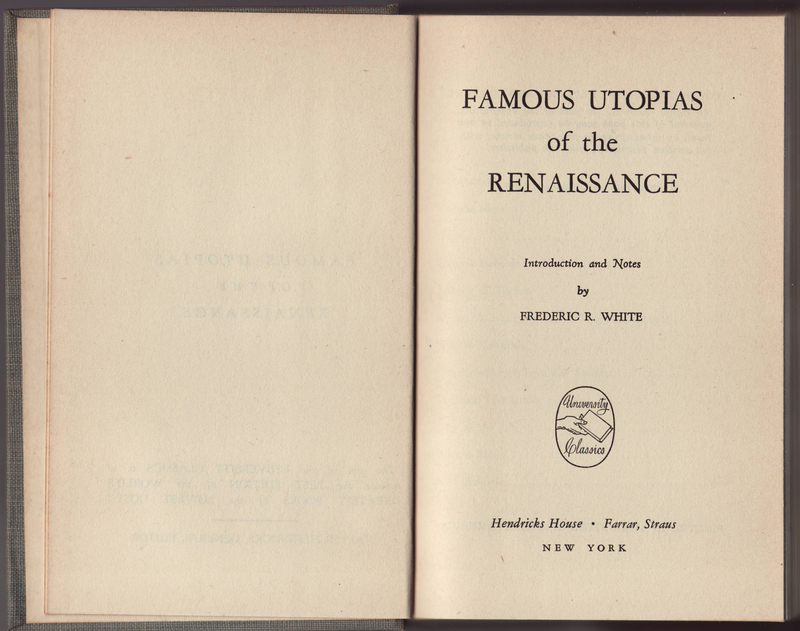 Half title page indicates the series name. The title page indicates Hendricks House – Farrar, Straus as the publisher. 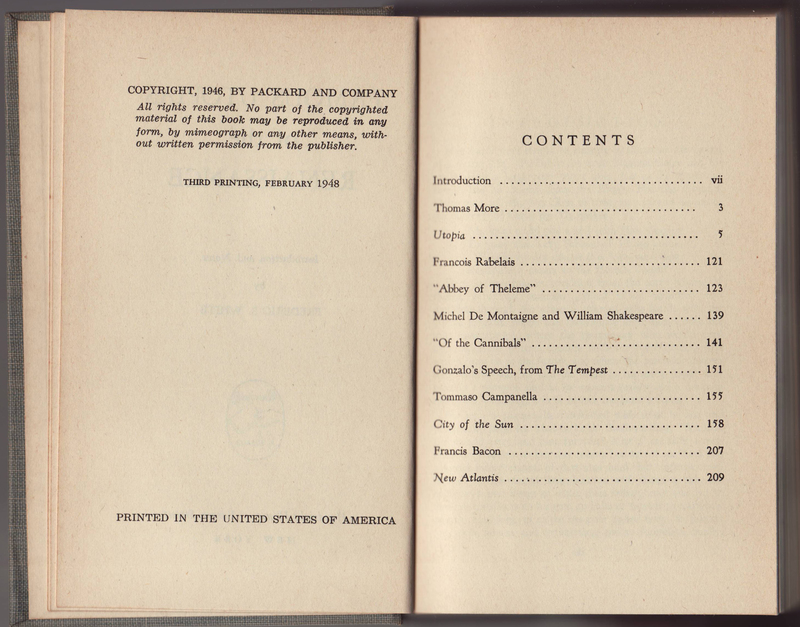 The copyright page includes the copyright still held by Packard and Co. and the printing date (February 1948). A few of the University Classics titles were reprinted in 1980 under what seems to be an independent Hendricks House publisher located in Vermont.